Custom fields can be added and configured without any PHP or HTML knowledge. thePHPfactory auction components feature an easy to use interface to create fields, add field values, insert and position fields into the template and also delete or unpublish them later. The Field label is the name of the field which will show on the frontend, the Database field name will be used in the code and database. You can add a Field description or a help text for the users which will appear when the users will hover on it with the cursor. Choose if you wish to enable the field now or later. 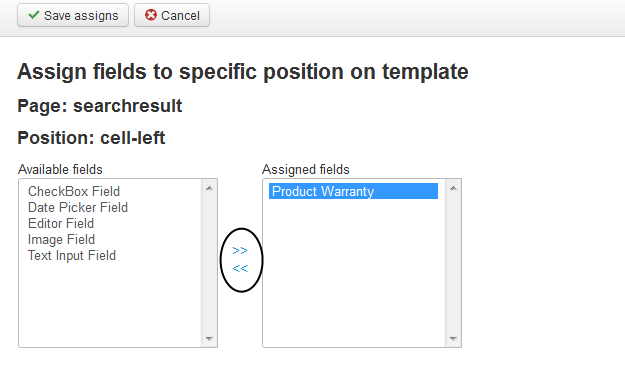 Field behavior settings allow you to make fields compulsory, impose valid data, use the field in searches and set an ordering(ordered amongst other custom fields) in the forms they show in. 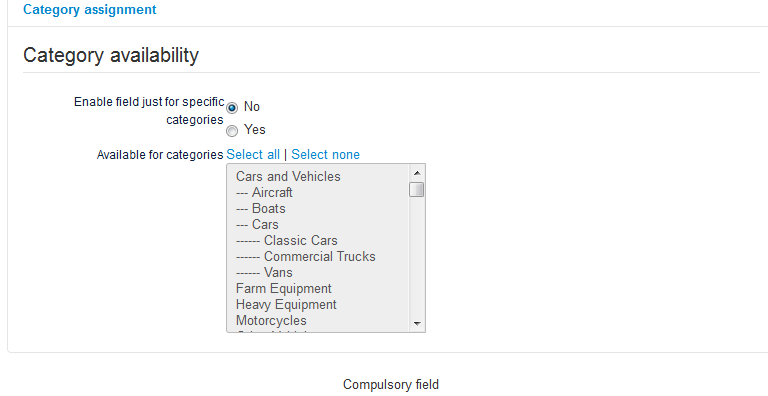 Another great feature is the possibility to list certain fields only in chosen categories. To list the field only for some specific categories enable the option and click on the categories you wish to make it available for, to select more simply press the "Ctrl" button and click on them. After saving a field, it will be displayed by default in the section you saved it in. The section can't be changed after creating a field. Regarding publishing, if you want the field to display in other areas of the component as well, you have to publish it in other templates. After you decided where to publish your field click on Edit page positions and choose the page and position on which you wish to publish it. Select one or more fields from the Available Fields area and move them into the Assigned Fields area by using the arrows between the fields. When you are done with the assignments verify if the field is showing properly on the frontend.